You know the one: He’s that totally selfish dude who disrupts your workout, ruining your gym session and everyone else’s with his rude, self-centred behaviour. Don’t be that guy. 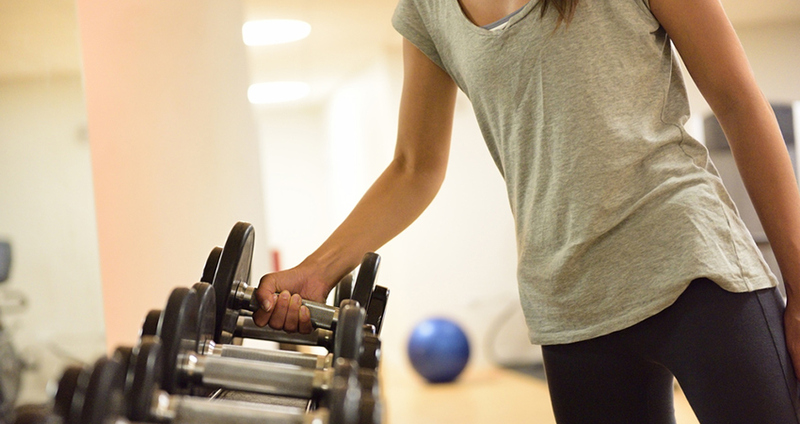 Follow this basic gym etiquette guide so that everyone can have a happier workout. 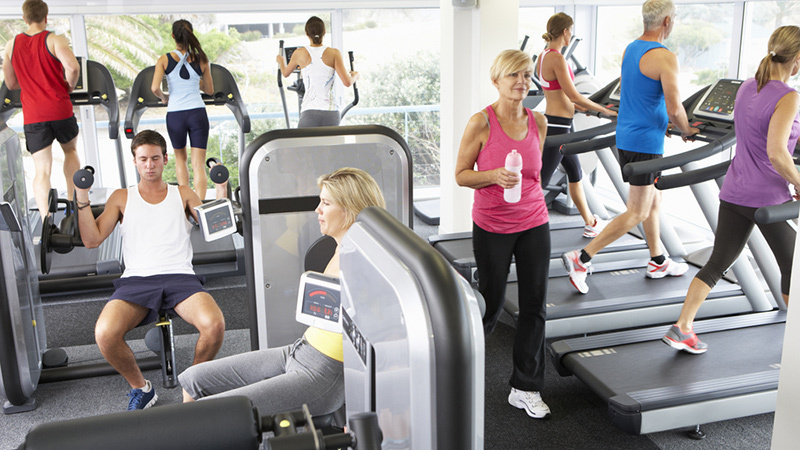 The gym is a place for people to unwind and squeeze in their daily sweat session. Usually, that means in private (unless you are with a partner or a personal trainer.) With that being said, it’s important that you mind your manners. 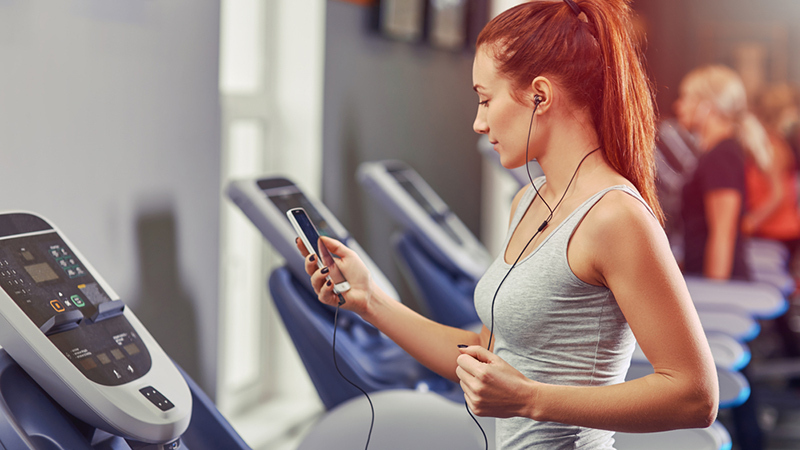 Don’t blast your music from your phone’s speakers, and for the love of god, do not bring your own super-powerful portable speakers for the whole gym to hear. Nobody wants to listen to you grunt along to “Pump Up The Jam” for the third time in a row. Use your headphones. We know that music at the gym is an opportunity to get you in your zone and drown out the background noise. But everyone has their own taste of music, and no one needs a show. Plus, if you blast your music, you’ll only be adding onto other peoples’ background noise, and this can be incredible distracting to other gym goers. Keep those sick beats to yourself. Nothing is more annoying than not being able to find a weight that you want to use. 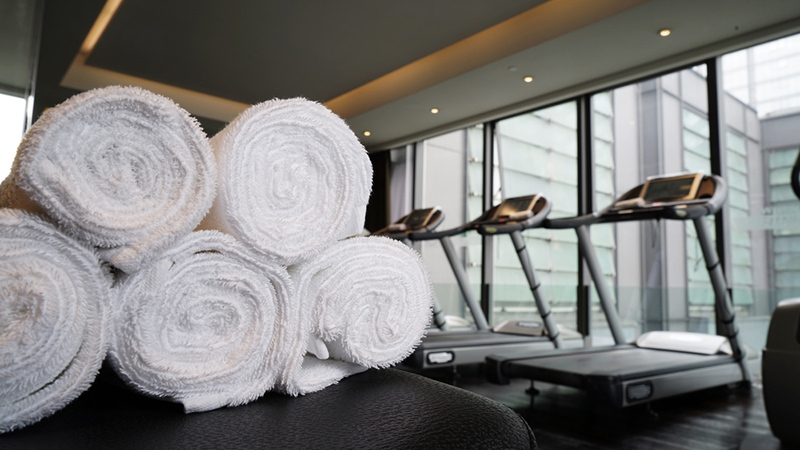 Plus, messy gyms with equipment scattered around can be both dangerous and unsanitary. What’s more important to note is that someone can easily trip over the weights and seriously hurt themself. It may not only be you, but you yourself can help the cause. After you use a weight, please put it back; for your own safety and for the safety of others. This one is definitely a pet peeve amongst most gym goers. 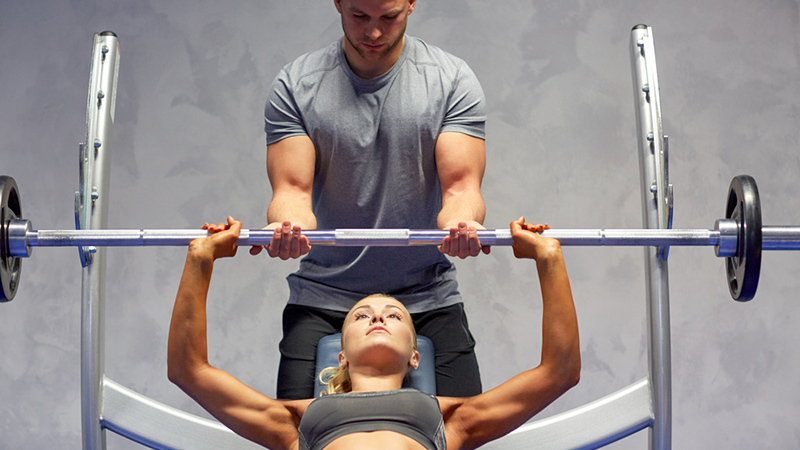 Don’t be that person who uses one machine, bench, weight, or equipment while also setting their clipboard or water bottle down onto another piece of equipment. Not only are you taking up more space than you need in an already-crowded gym, but you’re also being rude. Stick to one exercise at a time. Don’t pull a fast one and try to do two different exercises in-between each set to cut down on time. This is especially important to remember if the gym is busy. Give other people in the gym the opportunity to get their workouts done as well. 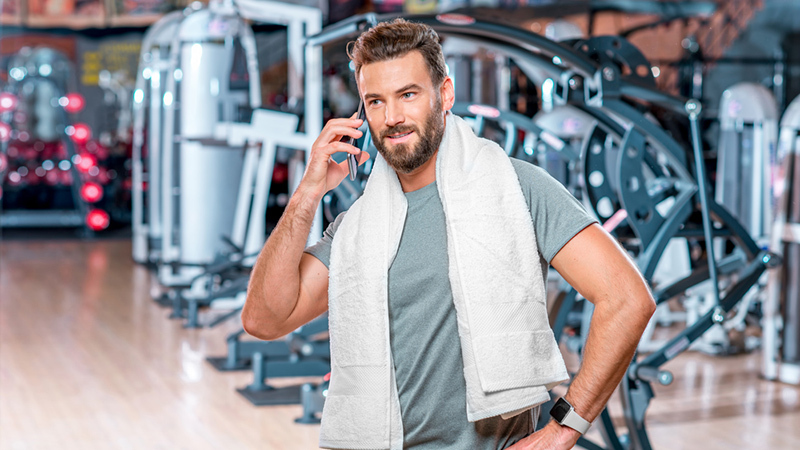 Unless you are using your phone to play music (and listening to it with your headphones, of course,) there should be no reason for you to be talking loudly on your phone at the gym. It can be incredibly annoying for someone who is waiting to use the machine or equipment you are using, meanwhile you are either texting, on a call, or scrolling through social media in between sets. Be considerate, step away from any equipment and handle your personal matters outside of the gym, or at least away from anyone’s workout space. This one is especially important to remember. If you see someone alone who is attempting to do an exercise with an extremely heavy weight, offer a helping hand! Politely ask them if they would be comfortable with you spotting them. Who knows, you may actually make a friend along the way. And if you don’t, oh well, you did your good deed for the day. What you DON’T want to do is be that person who “knows” more than everyone else. Don’t go up to someone while they are in the middle of their set and offer tips on how they can improve their form and whatnot. You’ll look like a giant know-it-all, and you’ll probably make the person you’re trying to help uncomfortable. No one wants that. Nobody wants to be working out on someone else’s sweat. Over the course of a day, a single piece of gym equipment may have more than 100 users, and not all of them clean up afterwards. Even if you haven’t actively sweated a ton on your mat or treadmill, do everyone a favour and give all your equipment a wipe down after you use it. It’s just you doing your part in keeping the gym clean. If you’re doing a circuit or you’re performing a sequence compounds movements that require a breadth of space, like burpees or walking lunges, be aware of who is in the gym and how much space you really have. You may not always be able to get the workout you want, especially if you’re going to the gym during its busiest hours, like immediately after work. Come prepared with backup exercises that utilize less room, and always try to be mindful of everyone around you. We all want to feel confident at the gym, but this is not a fashion show. Shirts should always been worn at the gym (no hulking, shirtless muscle men, please), and try to choose clothing that isn’t transparent or too loose, so you as to not give everyone a peep show during your downward dog. And always, always wear appropriate footwear — walking around in the wrong shoes (or god forbid, barefoot unless you are in a yoga class), can be dangerous for you and the people around you. You didn’t have time to wash your gym clothes, so you douse them in cologne or perfume and hope for the best. The gym is a closed space with lots of sweaty people occupying it, so there are bound to be a lot of odours at play. Some people are allergic or irritated by strong smells, while others are simply annoyed by them. Either way, the gym is not the place to be sharing your love of Axe Deodorant Body Spray.